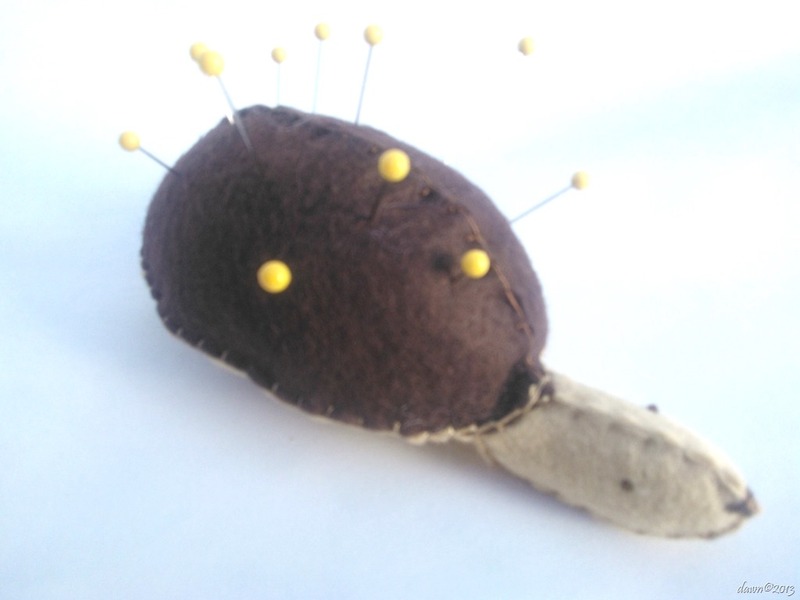 It’s book review week here on my blog and today I’m reviewing Pretty Little Pincushions. I picked up this book at the library and really just meant to glance at it and put it back. Flipping through I found a really cute hedgehog pattern that I knew I could adapt to be a simple project for my plush club. Using the original pattern pieces (increased in size by about 150%) I first tried to make the paws because the instructions did not match the pattern piece and as I thought, it didn’t work. No problem, who needs paws? 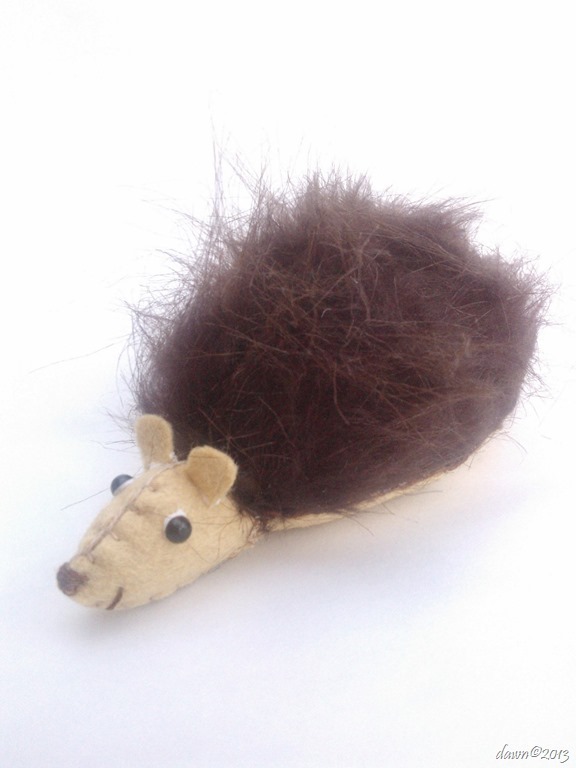 I then stitched the rest of the hedgehog together, using plain brown felt for the main body instead of fun fur. My thought was that the hedgehog would look adorable. Much better. I read through a couple of the other projects in the book and although the pictures are beautiful, I was unimpressed with the instructions. If you are okay with trial and error this book is likely okay, but honestly, I can’t recommend it. This is why I love Japanese craft books. The photographic instructions are so clear that it does not matter that I cannot read the words. And the pattern pieces are correct. I have made dozens of plush from Japanese books and have yet to have a problem.